From mountain gorillas, to boa constrictors; for centuries human beings have been tirelessly etching images of beautiful and often ferocious animals into each others skin. No group of animals is represented more in the world of tattooing, than that of the Panthera, or ‘big cat’. To work this out we need to go back in time. The problem is, no one really knows when the first tattoo of any kind was done, let alone the first tattoo of a big cat. So at what point in history should we begin? Although it is impossible to pinpoint an exact time or place in which tattooing began, scholars suggest the art form dates back to 12000BC. For our purposes the safest place to start is with ‘Otzi The Iceman’. Otzi was the name given to a mummy found in the Italian Alps in 1991. The mummy was in such good condition, scientists were able to identify 61 tattoos on his body. This isn’t bad at all considering he is thought to be over 5,300 years old. Otzi might be the key to proving that the art of tattooing existed prior to 3000BC, but to find evidence of the first animal ink, we need to fast-forward about 200 years and head over to North Africa. There, archaeologists found two tattooed mummies. One male and one female. This find was considered to be evidence of the earliest tattooed female in history. More importantly, their tattoos were depictions of animals – a bull and a Barbary sheep. Were these symbolic of a successful hunt? There is a body of evidence showing that animal tattoos were prevalent throughout the Ancient Egyptian period too, although cows and snakes seemed to be in favour. It is thought that the cows were linked to the goddess Hathor, and the snakes associated with various female deities. And although there were lots of references to lions during this period, it seems that they weren’t wearing images of them on their bodies. Here in Britain, we’ve been getting tattooed for centuries too. The earliest examples were likely to be linked with Christianity, with many scholars claiming soldiers in the Crusades inked the Jerusalem cross on to their chests, so that the could be afforded a Christian burial if they died in battle. After the Crusades, tattooing seemed to disappear from western culture for a time. Not making a reappearance until the late 1600’s, when an adventurer called William Dampier turned up at a London pub with a heavily tattooed man he’d bought off a slave trader in the Philipines. The man was known as Prince Giolo, and was thought to be the kidnapped son of the chief of an island called Moangis (now part of Indonesia). His tattoos, or pictures, as they were known, were very intricate and he became such a big attraction that Dampier was able to profit from exhibiting him at events. Over the next few decades, tattoos began to reemerge in society, but we’d have to wait another 100 years for tattooing as we know it to take off in the western world. In the late 18th century, Captain James Cook returned from a voyage to the South Pacific Islands. During this voyage he’d visited the island of Tahiti, where he’d seen many heavily tattooed men and women and heard them use the word ‘tatau’. It wasn’t long before this was adopted into our language and the word tattoo was born. But where are all the lion and tiger tatts? Was it simply that very few people had ever seen a big cat by this point, and therefore they couldn’t possibly want one tattooed on their chest? Despite still being frowned upon publicly by many, over the next few decades tattooing gained popularity and became established within Victorian society. Rumour has it that Queen Victoria herself had a tattoo of a tiger fighting a python. Could this rumour have started the trend? It’s possible, since by this time the British Crown ruled India, so most people would now know what a tiger looked like. It would be another 70 years or so before big cats started to rule the tattoo landscape. But it wasn’t the tiger or the lion that would reign supreme … it was the black panther! The origin of the iconic crawling panther is thought to be a book called Minute Myths and Legends, by Maris Schubert, published in 1934. Of course no one can say for sure who the first person was to take the design to skin, but many attribute it to 1940’s American artist, William Grimshaw, due to his flash sheets looking so much like the illustrations from the book. Over the next few decades the black panther would blow up as the animal tattoo of choice right across western subculture. It could be found crawling up calves, fighting snakes on biceps, and roaring from chests. The success of the panther likely came from its strong and sleek black body, that made it visible from a far and the perfect status symbol. Its bold shading also made a very easy cover-up, so it was the go to design for ex-servicemen who wanted to mask stick ‘n’ pokes left over from long, boring nights during WWII. During the naughties the tattoo landscape began to change, along with its associated prejudices and stereotypes. You were as likely to see a half sleeve on a girl in a swanky wine bar as you were on a biker in a backstreet boozer. Tattoo studios were now commonplace on the high street and the techniques and equipment used by artists continued to improve. Film and televisions producers of the time were also aided by massive advances in production equipment, and were able to bring moments to life in ways they couldn’t have dreamt about a decade earlier. In 1996 the BBC released a documentary called Big Cat Diary, which followed cheetahs, leopards and lions around the Massai Mara National Park in Kenya. By 2002 the show had captured the nation, and millions of fascinated viewers were switching on to watch the ‘big cats’ as they went about their everyday lives. The shows production was so good that people connected with the animals in a way they’d never been able to before. From our living rooms we were able to watch all their success and all their struggle, as they formed relationships, raised young and chased down impala. Was it the connection we made with the ‘big cats’ during this series, coupled with an improved and more competitive tattoo industry that cemented the Panthera at top of the tree when it comes to animal tattoos? For us, it is the versatility of big cats that make them such amazing animals to draw. From neo traditional lions to realistic tigers, we never tire of creating new unique ‘big cat’ designs – so long may their reign continue! We hope you enjoyed reading a bit about the history of tattooing and the important role animals have played in the tattoo industry. 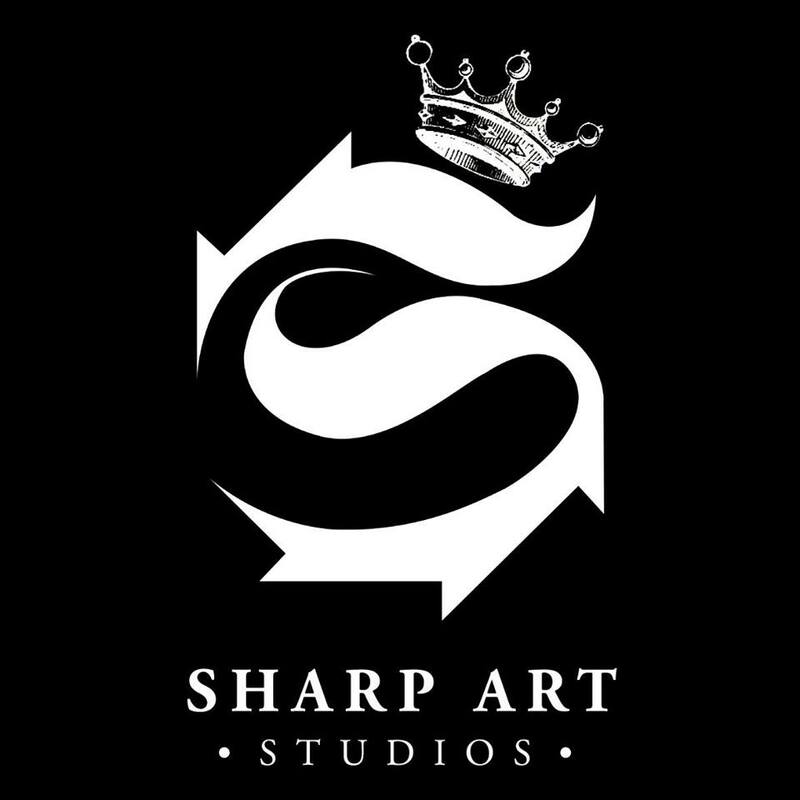 Below you can find our very own Big Cat Diary, featuring work completed at Sharp Art over the last few years, as well as exclusive new big cat flash. Clouded Leopard, by Nick. He originally produced this on canvas. The painting went on to win a regional art award. Loz completed this lions head for her client Phil at the age of 75, having got his first tattoo a year earlier. It just goes to show, you are never too old for a bit of ink. Take a look at our new big cat designs. If you fancy one of them, just head over to our booking app and schedule a free consultation. Then drop us an email or a Facebook message to let us know which one you would like us to save for you..